Our nation, Antigua and Barbuda is characterised by a growing problem of litter covering our island’s landmass and impacting ecosystems. To immediately halt this scourge the Ministry of Health & the Environment has partnered with key stakeholders to launch ‘#Clean Up 268’, a national campaign to drive accountability for waste management, to educate and to sensitise the public on the importance of keeping Antigua and Barbuda clean. 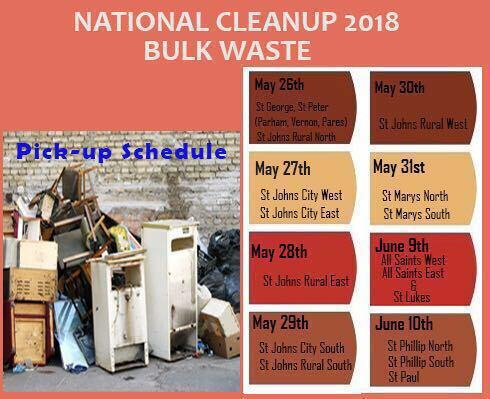 This national campaign will commence with a national clean-up of bulk waste and derelict vehicles from May 26-31st 2018 and a coastal marine and terrestrial inland clean-up and litter picking on June 2nd and 3rd 2018 starting from 5:00 am -5:30 pm. This initiative will support the new “Litter Act”. The Ministry of Health & the Environment will shortly commence with the public awareness to strengthen the legal implications of littering, illegal dumping, and improper waste management. The City of St. John’s will be undergoing assessments to identify the waste management challenges and development recommendations for implementation which will address both liquid and solid waste maintenance. The City aesthetics will be transformed into a more attractive environment supporting environmental Health and safety measures. The Ministry of Health, the Environment & Wellness is grateful for the partnerships forged across government agencies, with community based organisations and non-governmental organisations to execute this critical initiative ‘Clean Up 268’. All volunteers, NGOs, Citizens, Visitors, the public and private institutions are encouraged to participate in this important exercise. Waste is everyone’s responsibility – we need to keep Antigua and Barbuda clean. #cleanup268. Check the day your area will have bulk solid waste collections, and make sure your bulk waste is left outside your property from early in the morning. Gather a group of friends, family, neighbors, work colleagues. 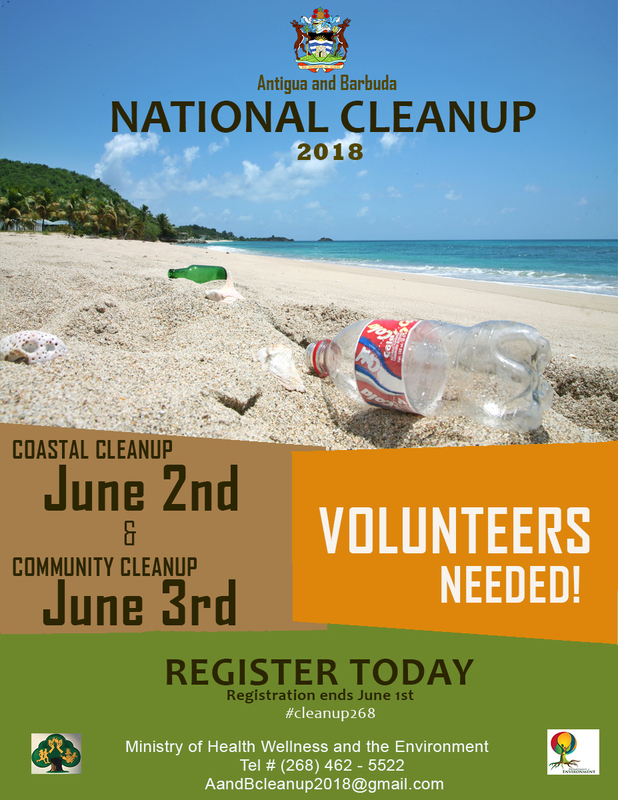 Sign up for the Coastal Cleanup and/or the terrestrial (In land) clean up by filling in the form or calling 1268 462-5522 or 1268 462-1891 – you must hi-light which zone you are in – check the form to see how the country is divided up. Once the Department of Environment has confirmed back to you your zone (they will make sure the whole country is covered) meet at the agreed time at the agreed start point. Although there will be some supplies of gloves, bags, drinks and snacks they will be in limited supply so be sure to bring some additional ones. 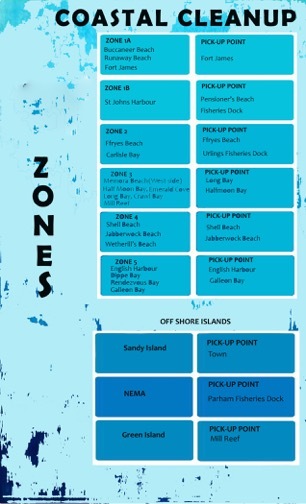 Collect garbage and drop off at the agreed points in your zone note they are different each day for the coastal day and for the terrestrial day.